No joke when I was younger I used to be obsessed with different flavored creme brûlées. It was like a challenge to try them all, a gluttonous challenge, but you know that's kind of my thing. It seemed like every menu had their own take on the custardy dessert: chocolate, lavender, citrus + the classic vanilla bean. 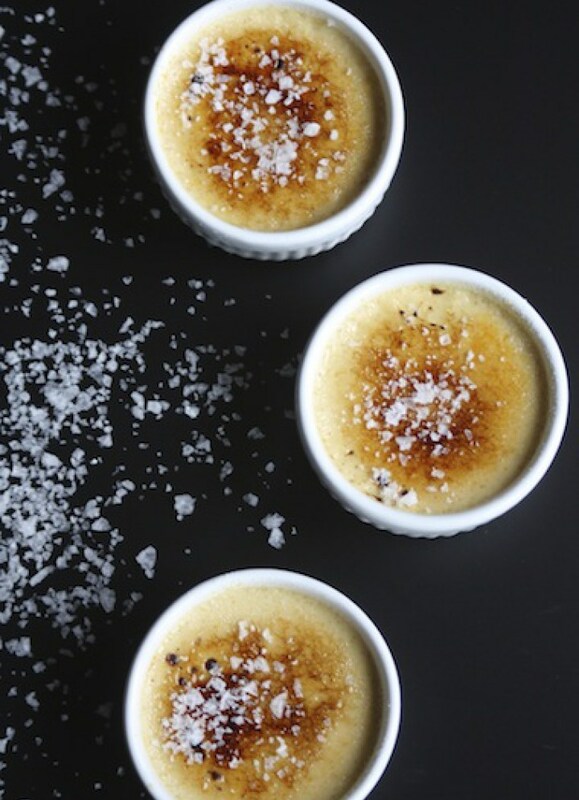 Creme brûlée is known for its custard base + torched sugar top. You use your spoon to break the sugar glass shell + it's creamy/crunchy in one bite. So my childhood dream came true, there is a day dedicated to creme brûlée. I might not be able to snag a creme brûlée this year (it's not always on menus anymore! ), but these recipes can get you started if you want to DIY it tomorrow.